Purification Purified from goat serum by ammonium sulphate precipitation followed by antigen affinity chromatography using the immunizing peptide. Immunogène Peptide with sequence C-DASNIEDQSETEAN, from the Internal region of the protein sequence according to NP_000129.2. DS WB Results: Preliminary experiments in Human Brain (Cerebellum), Heart, Kidney, Skeletal Muscle and Skin lysates gave no specific signal but low background (at antibody concentration up to 1 μg/mL). 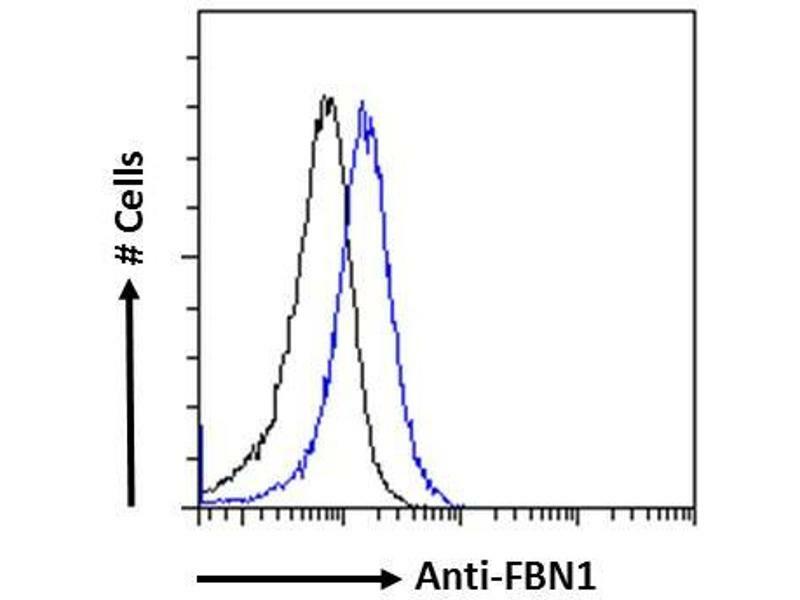 Peptide ELISA Statement: Peptide ELISA: antibody detection limit dilution 1:4000. Immunofluorescence: Strong expression of the protein seen in the cytoplasm of U251 and Jurkat cells. Recommended concentration: 10μg/ml. 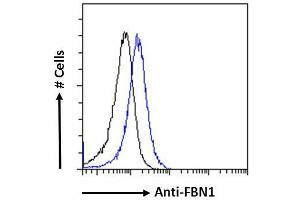 Flow Cytometry: Flow cytometric analysis of Jurkat cells. Recommended concentration: 10ug/ml. Buffer Supplied at 0.5 mg/mL in Tris saline, 0.02 % sodium azide, pH 7.3 with 0.5 % bovine serum albumin. Conseil sur la manipulation Minimize freezing and thawing. Stockage commentaire Aliquot and store at -20 °C.